After “impressive” performances from Rod Stewart and Susan Boyle at last night’s opening ceremony the sport action finally gets underway at Glasgow 2014 with the first medals being won in the triathlon events at Strathclyde Country Park. With the action coming thick and fast at the Commonwealth Games for the next 11 days Ladbrokes News gives the lowdown on some of today’s best gold medal hopes from these shores. Four-time Olympic gold medallist and Tour de France winner Bradley Wiggins returns to the track alongside Ed Clancy as England big for Commonwealth gold in the Team pursuit at the Sir Chris Hoy Velodrome. With three silver medals to his name from two Commonwealth Games appearances, “Wiggo” is gunning for one of the few gold medals missing from his collection. But world champions Australia (10/11) and New Zealand (13/2), who finished third in the same event in Cali, represent a tough challenge for the English duo. 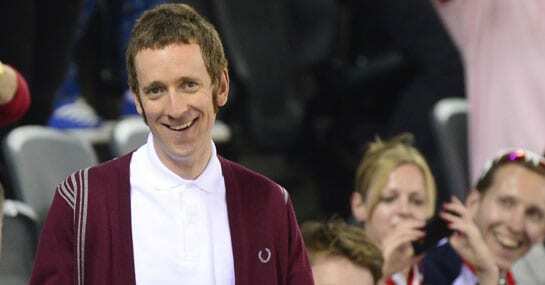 If anyone can pull it off though, it’s definitely Sir Bradley Wiggins! Scotland’s poster boy has targeted gold and a world record in his specialist event on an opening day that’s been dubbed Thunder Thursday as the hosts look to get off to a flying start at the Games. The Olympic silver-medalist is odds-on to realise his dream and win in front of the adoring home crowds. Australia’s former world record holder Christian Sprenger is deemed Jamieson’s main threat at 5/2 but the carrot of winning in Glasgow should spur the favourite on to victory. With Hannah Miley, Robbie Renwick and Michael Jamieson all in with a chance of a medal on day one of the Commonwealth Games hosts Scotland are quietly confident of starting with a bang. Miley, who is 1/2 favourite for glory, goes in the 400m individual medley and has the first chance of gold for Scotland but faces strong competition from Team GB teammate Aimee Wilmott (6/5). The 24-year-old had hoped for a medal at London 2012 but finished a distant fifth and with her English rival getting the better of her back in January the Scot will have to improve to get her hands on her country’s first gold of the games. The ‘battle of the Brownlees’ is set to be the main storyline in the Men’s Triathlon and it’s elder sibling Alistair who is the pick to get the better of younger brother Jonathan (10/3) once again. Alistair was the winner of the pair’s duel in London two years ago with Jonathan managing to secure bronze despite picking up a 15-second penalty. He may go closer on this occasion but we expect Alistair to retain Brownlee bragging rights.